When filing for divorce in the state of Washington, generally any property or assets gained during the marriage are divided equally between you and your spouse. The concept of “community property” is a part of the bargain when receiving the benefits conferred by marriage. However, there are times when a soon-to-be ex-partner decides to try and hide assets to keep more than a fair share of what the two of you built together. Not only is this unfair, it’s actually against the law. False payments or unusual bills. You may notice an unusual reoccurring charge on a shared bank account or suspicious “invoices” for products or services that you’re pretty sure your household is not receiving. While it’s possible that there is a legitimate service being rendered, sometimes this is actually a collusion between your spouse and a friend, family member, or other partner. The money is just being funneled off until after the divorce, at which point the colluding partner returns the money to your ex. Unreported income. Your spouse may simply be lying about the amount of income he receives, especially if cash transactions are involved. Or if you own a business, your spouse may say that the business suddenly “isn’t making any money,” yet you notice new employees, expensive equipment purchases, or other costly upgrades appearing. There may even be a false employee on the payroll, and your spouse will just cancel the payroll checks and reclaim the money after the divorce. Alternately, your spouse may simply be pocketing cash transactions without recording them at all. Expensive purchases. Your spouse may start purchasing expensive hobby tools or equipment, antiques, office furniture, or collectible objects such as watches or artwork. The items will be intentionally reported under their actual value, and your spouse may end up pocketing the difference. Tax overpayments. It’s possible that your spouse could be overpaying on taxes intentionally, leaving a positive balance with the IRS to roll over for future years. This is a particularly sneaky trick that can be difficult to catch, but an experienced attorney should know how to spot moves like this. 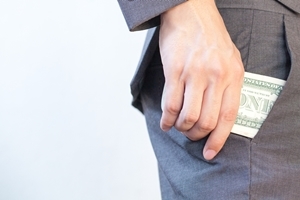 If you suspect that your spouse may be trying to hide assets, tell your divorce attorney right away. She can help you begin the investigation process to find out if there’s any truth to your suspicions. When things get tough during your divorce, you should have an experienced attorney that you can trust by your side. An attorney who has seen it all will know exactly what to do when you suspect your spouse isn’t telling the truth. She can help ensure you get the assets you’re owed by law. If you have any questions about asset division or hidden assets during your divorce, we would be happy to provide the answers you need. Call us at (425) 460-0550 to schedule a discreet consultation here in our Bellevue office today.